Hosting can be intimidating and confusing at first. Knowing the basic terms and concepts of web hosting can help you get comfortable quickly and dig deep with confidence. 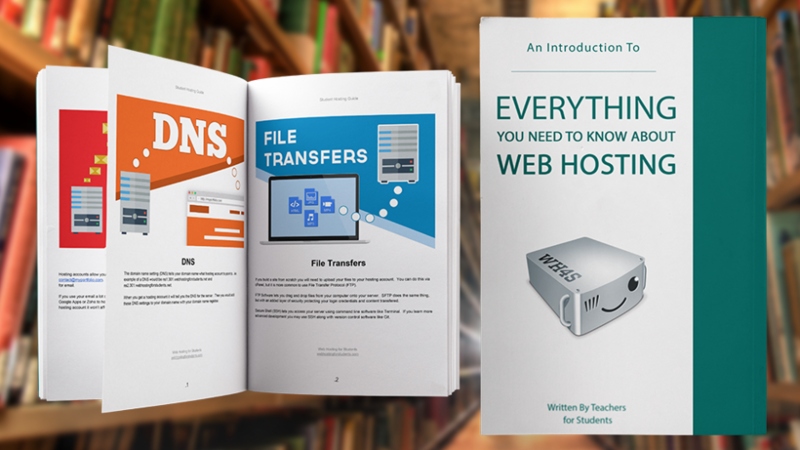 Teachers from WH4S wrote this short book for students to explain the ten most important terms and concepts of web hosting. We recommend that students new to web hosting start with downloading this free book to familiarize themselves with things like servers, domains, dns, file transfers, analytics and much more.